You can get a vent doubler options which allow you to vent two kilns that are each up to 10 cubic feet. (Note: Consider buying the Multi-Mount Bracket which is shown in the photograph but not included in the normal kit). 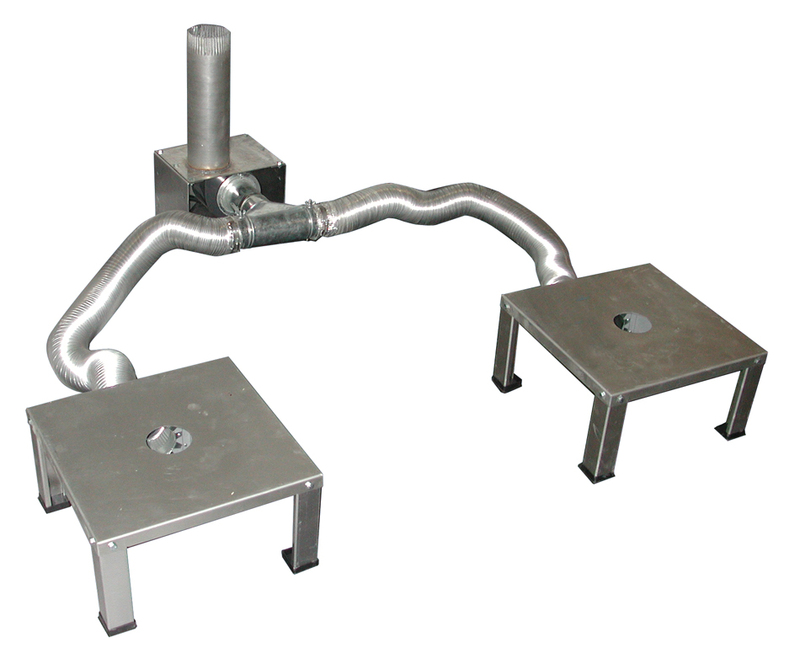 The Vent Doubler Kit includes the special T-Duct. 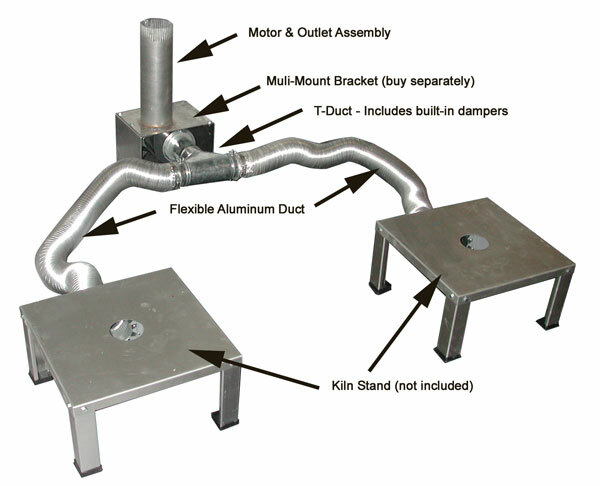 The Vent Doubler system includes an extra Bypass Collection Box, an extra Flexible Aluminum Duct and a “T” Connector with dampers. You can vent two 10 cubic kilns with one Vent-Sure plus this Vent Doubler System.